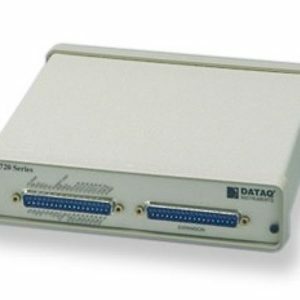 WinDaQ HS Data Acquistion software offers real time display and disk streaming capabilities, features a sample rate that is only limited by the maximum sample rate of the hardware. 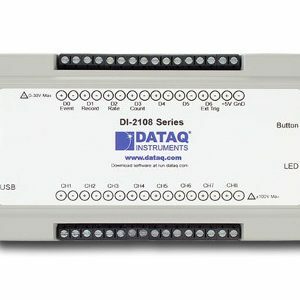 Supports DI-149, DI-155, DI-710, DI-718B & DI-718Bx series. 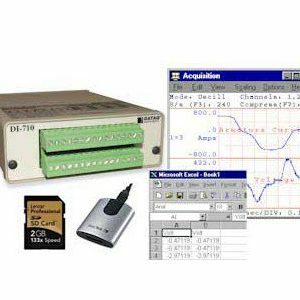 The WinDaq High Speed Option is an extra-cost version of WinDaq Acquisition software designed specifically for the DI-710 Series, the DI-718B Series, the DI-149, the DI-155, and the DI-718Bx Series, allowing you to record at the speed of the instrument. 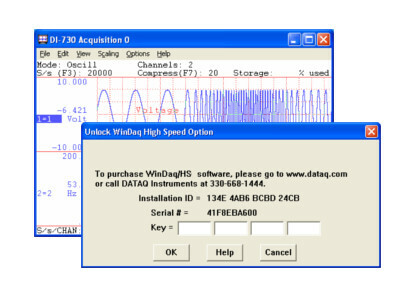 A trial version of WinDaq HS is installed onto your computer when you install your instrument. The trial version is good for 20 or 40 (depending on version purchased) high speed recording sessions. You will receive a dialog box every time you record at High Speed with the number of High Speed Recording Sessions still available. Event markers with comments allow annotation of data acquisition sessions with descriptive information while recording to disk. Raise productivity to new heights with WinDaQ’s unique multitasking feature. 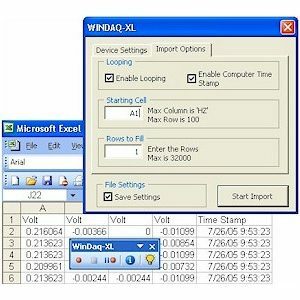 Record waveform data to your PC in the background while running any combination of programs in the foreground – even WinDaQ Waveform Browser to review and analyse data as it’s being stored. Note: Activation is not necessary if you purchased the High Speed option when you purchased the instrument – it will already be unlocked. A highlight sticker on the CD-ROM indicating DATAQ Hardware Device is WinDaq/HS Enabled and the sticker on the bottom of the instrument with the Model number /HS will indicate you have purchased the High Speed option and it is activated. WinDaq/HS may be activated prior to expiration of the Trial period by clicking Unlock WinDaq/HS in the Help menu. A success dialog box will indicate WinDaQ HS was successfully unlocked. Activation is written directly in the memory of the instrument so subsequent installations will not require you to unlock the High Speed option.